Some offices have candy jars. Thrillist has those, too, but we know the only thing that can truly motivate someone to pretend to be a cupcake on Tinder to pick up girls is bacon. That and booze. 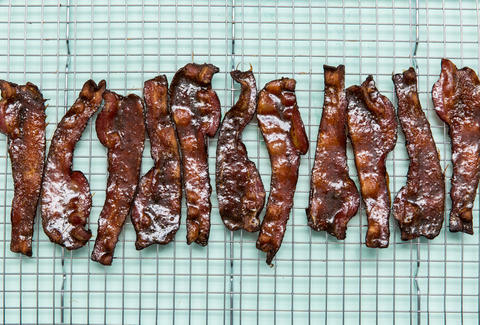 So we combined them: the beer & maple syrup glaze gives smoky bacon a crisp, candied crust that actually tastes like beer. If for some odd reason these slices don't disappear within minutes, they'll keep overnight at room temperature. Preheat oven to 375℉. 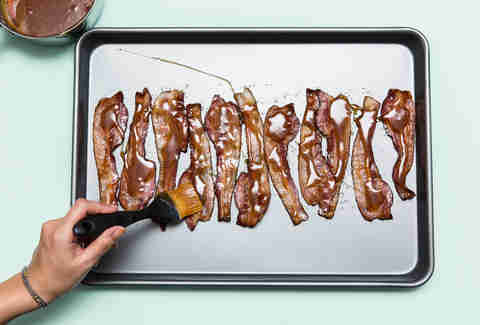 Place 1 pound of thick-cut bacon in an even layer on a rimmed baking sheet. 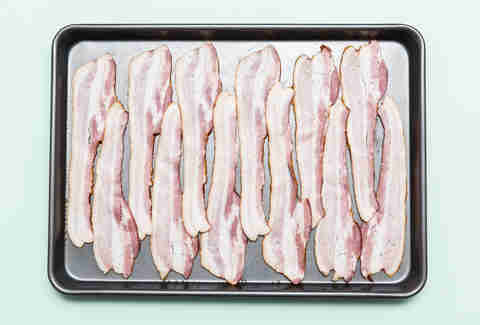 Bake until crispy, about 20 minutes. 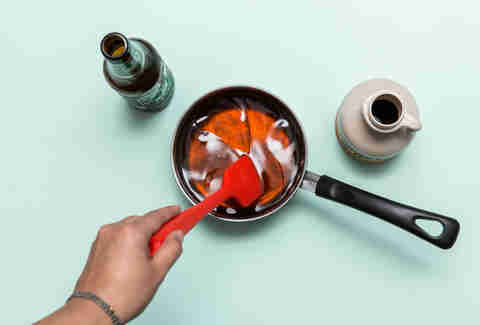 Combine 3/4 cup lager (1/2 bottle), 1 cup pure maple syrup, 2 tablespoons black pepper, and 1 teaspoon salt in a medium saucepan. 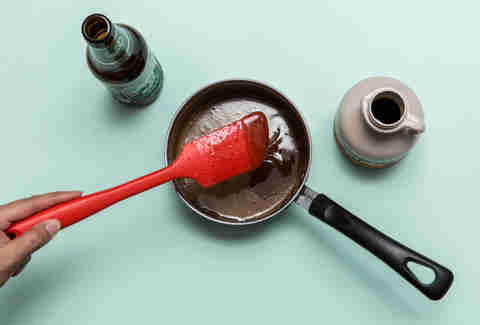 Bring the glaze to a simmer over medium heat, and cook, stirring often, until the liquid is reduced by half and looks thicker than syrup, about 20 minutes. 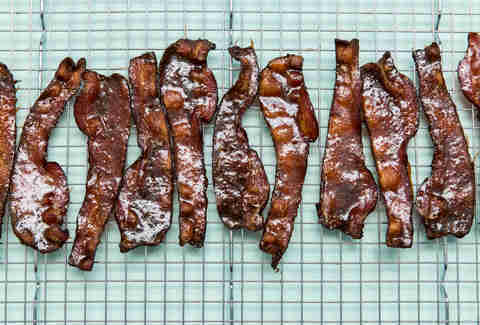 Brush a thick layer of glaze over the bacon and bake until caramelized, 8-10 minutes. Let cool on a wire rack for 5 minutes or until glaze hardens.